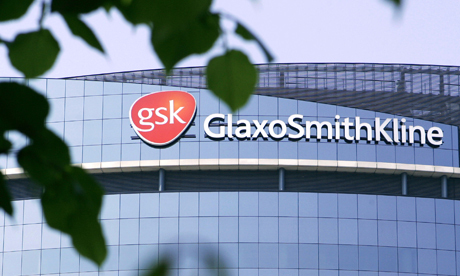 GlaxoSmithKline has almost completed a major 18-month exercise to prepare for the start of France's CIP13 coding requirements, which are due to come into effect on January 1, 2011. By this date, all pharmaceutical products distributed in France must carry a 2D datamatrix incorporating the 13-digit CIP13 code, batch number and expiration date, and also a pre-printed vignette sticker (used for reimbursement) with the CIP13 number, the reimbursement rate and the price as well as the barcode. Although the CIP13 code is batch-specific and not a randomised, serialisation scheme, the company designed its own system to cater for any future pack-level traceability requirements which may be laid down in Europe or indeed elsewhere in the world, according to Tim Shutt, who led the development project at GSK. In a presentation at the recent Total exhibition in Birmingham, UK, Shutt noted that 65 packaging lines at 17 manufacturing sites across 12 countries are being modified to include the new coding equipment, which is based on a thermal inkjet printing system that can accommodate line speeds up to 400 packs per minute. It is estimated that accounts for 20 to 25 per cent of all GSK's packaging lines worldwide. Thermal inkjet was selected in favour of laser coding technology because the latter could not provide coding at the required quality at full production speeds, hitting a ceiling at around 200 packs per minute. The greater clarity of inkjet meant that this turned out to be the best solution, although running costs are higher because of the ongoing expense of buying ink cartridges, said Shutt. He told SecuringPharma.com that the implementation of the system should be completed by October - a little later than anticipated because of the extra time involved in rolling it out into some acquired companies - although the first packaging lines are already up and running printing codes in France and Italy. "We wanted to design a system with standard capabilities that can be adapted to other requirements such as the planned serialisation system in Brazil," said Shutt, who is part of the PackOne group set up at GSK last year to provide a unified approach to the group's packaging operations. The system also allows late-pack customisation, he noted. The drivers of the project were to provide a highly reliable system with no misreads at the pharmacy level, a low level of false reads in the manufacturing plant to avoid product going into the reject bin, and minimal impact on line performance, he said. Keeping the cost as low as possible in terms of the capital and depreciation/running costs was also an important consideration, according to Shutt, so GSK has designed a system based on standard marking and verification as well as package transport systems. One important finding was that standard offline verifier technology was not up to the task of handling production line speeds, so instead GSK has opted for an online inspection system which "works more like a barcode scanner than a verifier," said Shutt. The company worked with the supplier to ensure the inspection software and hardware is tuned to the print system, he added. Verifiers are used offline for validation and testing purposes, with one unit installed per line or site. GSK has created four variants of the system which can provide: coding; coding plus vignette; coding plus tamper-evident label; and an offline coding system that can be used for small quantity production runs.